A few years ago, Steve Dobbs wrote about his experience obtaining a 203k rehab loan. Steve purchased a rehab property and obtained a 203k loan for the repairs. We are going to touch on the topic more in our latest blog. The Federal Housing Administration (FHA) provides both limited 203k rehab mortgage and 203k rehab mortgage insurance. Both loans are available to homeowners to provide financing on the purchase of a home as well as financing on renovations on homes. To obtain 203k rehab mortgage, the home must be at least one-year-old. The renovation can be as little as $5,000 worth of work and all the way up to a complete rehabilitation of the whole home. 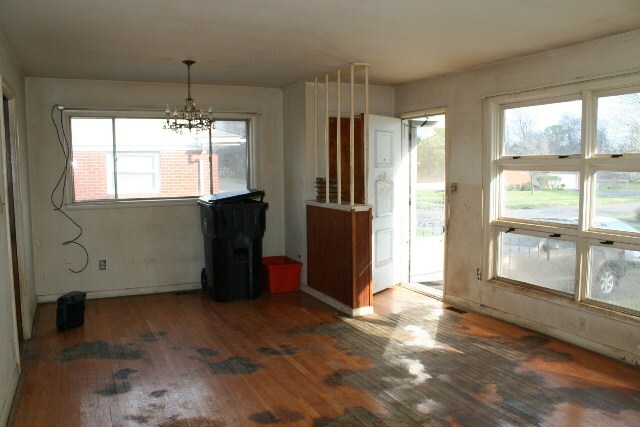 This loan option would be good for a home that needs extensive work. Make sure to visit the U.S. Department of Housing and Urban Development (HUD) website to find out more about home improvement activities that are approved. There is also an FHA mortgage limit per area that borrowers must meet. You can find out the limit on the HUD website. According to HUD, once the repairs are complete on the home, the value of the home will be determined by adding the purchase price to cost of renovations or by calculating 110 percent of the appraised value after renovations. Whichever of these two options is less is the option that will be used. Limited 203k loans would be a good option for a home that needs $35,000 or less in repairs. When Steve obtained a 203k loan, he closed, the work was done, an appraiser came out to see that the work was finished, then the remainder of funds were released to the contractor. Appraisal are usually more expensive on rehab loans because you have to get a dual appraisal (an appraisal upon purchase and an appraisal with estimated repairs). Limited 203k loans and 203k rehab mortgage must be used on a primary residence. This means that you couldn’t use this mortgage insurance on a vacation home or investment property. Although a 203k loan is an FHA loan, sometimes it can take a little longer to close. This isn't always the case but sometimes it is. Also, 203k loans sometimes require borrowers to provide a lot more paperwork than your average home loan. If you have any questions regarding 203k Rehab loans, please contact the Hollinden Team at 502-429-3866. If you would like to speak to a lender regarding obtaining a 203k loan, we have a lender we can recommend to you.